If you have a goal to see something extraordinary, and then advise this world to your friends, this seed mountain spiers 1.2.0 is ideal for this purpose. We advise immediately after the spawn not to waste time and hurry straight to the mountains. Very soon, your eyes will open beautiful stalagmites. These are such forms of formations in the form of spiers, which, as a rule, arise inside many rare caves. They hang from the top down. But in this case, stalagmites are an education from the mountains. And this phenomenon looks untidy! Also, in addition to the mountains, you will see a beautiful pond, as if enveloped the mountain range and gave it a special charm and splendor. Visiting such an iconic place is a great success, and if you carefully follow all our updates and have visited dozens or even hundreds of other cards, then you will definitely want to see this novelty with your own eyes. 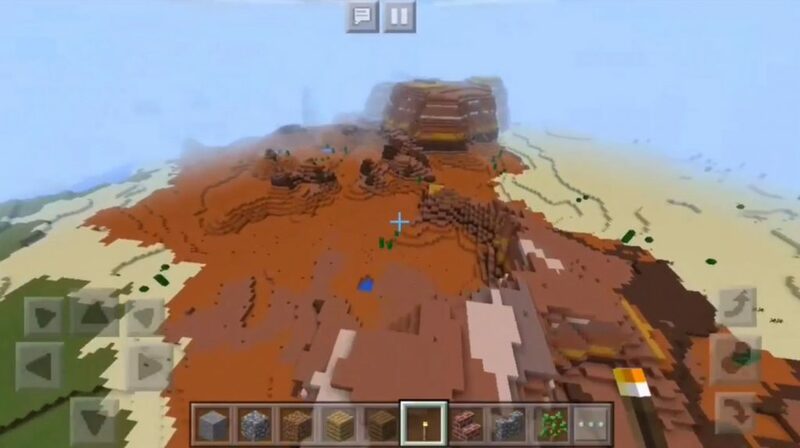 Seed mountain spiers 1.2.0 – this is definitely one of the rare generations of worlds where you have been before. For a moment, you can only imagine how much time it took the author to create all this magnificence in such a small space. The mountains are impressive in their size, beauty, shape. Here you want to stay longer and enjoy endlessly all these beauties. Meet the sunrises, sunsets and other beautiful natural phenomena in Minecraft Pocket Edition.